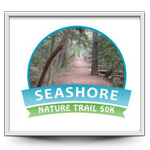 Tidewater Strider Grand Prix races will vary in distance from one mile to the 50K. Only Strider members who contact the Grand Prix Coordinator (run@cox.net) will be tracked in the Tidewater Strider Grand Prix. A runner must be a Strider Member in good standing and complete a minimum 6 out of the 12 races. You do not need to score in 6 races – just complete 6. Points are awarded for placing first through fifth (20, 15, 12, 10, 8) in your Grand Prix age group. Volunteering is not a requirement, but if you do volunteer, you will be awarded 50-points. You have to volunteer at one function (e.g pre-race, day of Strider race, or any other opportunity by contacting the volunteer coordinator listed in the Run Down). Age groups are 19 and under, and five year spreads after that (i.e. 20-24, 25-29, 30-34…up to 70 and Over). Grand Prix runners completing the 6 miler in January and the 12 miler in Febraury as part of the Distance Series, and the Shamrock Half Marathon will receive P’s for participation. In past years, the shorter series was not scored and this change allows runners to earn race credits towards their 6 races to qualify for awards. Any questions, please contact Marie Price via e-mail. For 2015, please contact Lisa Armistead if you would like to participate; ljarmistead@cox.net or (757)748-7512. An individual must be a Strider member in good standing and complete a minimum 3 out of the 15 races. Volunteering must be performed before 12-1-2015. All volunteering after this date will count towards 2016. The Multi-Sport Grand Prix will follow the USAT Age Group Rules. Your age group placement will be calculated based on your age as of 12/31/15. To clarify, if you want to participate in the 1 mile YGP you must run a minimum of 5 (1 mile races), the 5K YGP you have to run a minimum of 5 5k races. Participation in the New Energy Youth group is not a requirement for YGP, but is highly encouraged. To enter the Youth Grand Prix, click “Join Us” on the New Energy web page. All Tidewater Strider Youth Grand Prix races will be one mile events for the 1 mile YGP and 5k’s for the 5K YGP. The schedule will be posted online under Grand Prix 2015 Schedule. 1. If a runner’s birthday is 4/15/2000, which makes their age 15 on 7/1/2015, then their YGP age group is 15-16 for all events in 2015 YGP series. 2. If a runner’s birthday is 8/15/2000, which makes their age 14 on 7/1/2015, then their YGP age group is 13-14 for all events in 2015 YGP series. End of year awards will be presented at season ending YGP Awards Party to the top three finishers in each age group based on total points accumulated. Points are awarded for placing first though fifth (10, 8, 6, 4, 1) in your Youth Grand Prix age group. 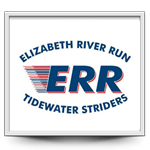 Points are awarded to eligible youth Tidewater Strider Members regardless of place in field.
. A runner must be a Tidewater Strider member in good standing by the end of the month in which an event is run to be eligible for points for that event. No back dating of points from prior events will occur, unless an omission or miscalculation of an eligible runner. There will be awards for the 1 mile series and awards for the 5k series. Same rules apply for each and you may participate in both series. A runner can participate in both the one mile and 5K series but not on the same day…if they run both races on the same day, only the 5K counts. Schedule may change due to race dates not confirmed or canceled.